Rayden Olivia James life hasn't been normal for years now. She lost her mother two years ago, to a car accident, that forever changed her life. She was also in the car and she suffered permanent brain damage. 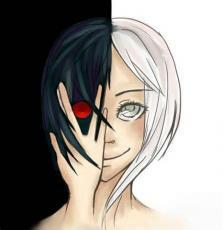 That brain damage enabled her to have a split personality. Thus Raya J was born. Raya J was a complete opposite and almost destroyed Rayden's life. After being put in a mental hospital she thought she'd finally gotten rid of Raya J, but what happens when her father comes back from Vegas with a brand new and younger wife??? Because She Dared Me To!